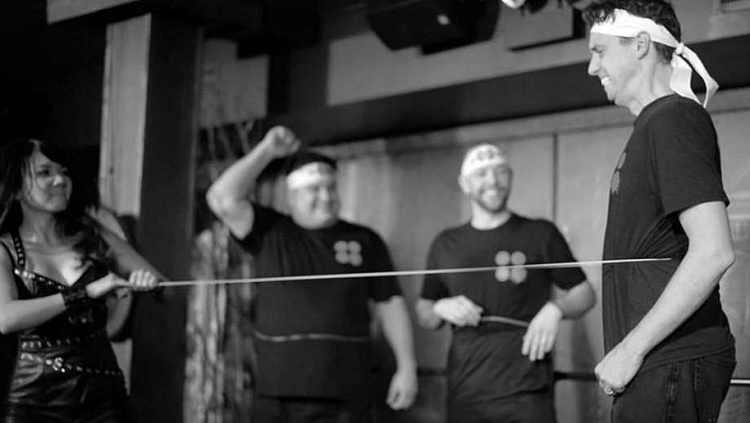 Eating a bowl of wasabi, wrestling a sumo champion or filling your underwear with ice… You’ve seen examples of bizarre and over-the-top Japanese television and their American counterparts like Wipeout, now see BATSU! Chicago live on stage with comedy troupe Face Off Unlimited. Additional dates and times may be available. Times and prices vary by date. Please view ticketing page for details. This show is recommended for guests age 18 and older. Batsu is Japanese for “penalty game” and you can expect these four warrior-comedians get shocked and splattered as they compete in the dinner theater at Kamehachi. Chicago’s original sushi bar, Kamehachi is in the heart of old town and offers a full bar and menu.